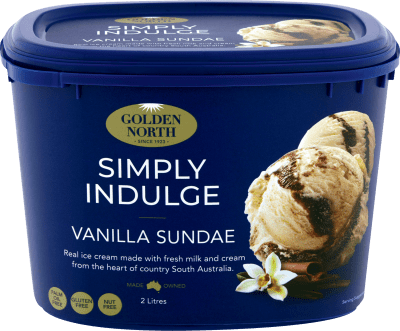 Premium Vanilla, Affogato and Cappuccino ice cream made from fresh milk and cream swirled together. 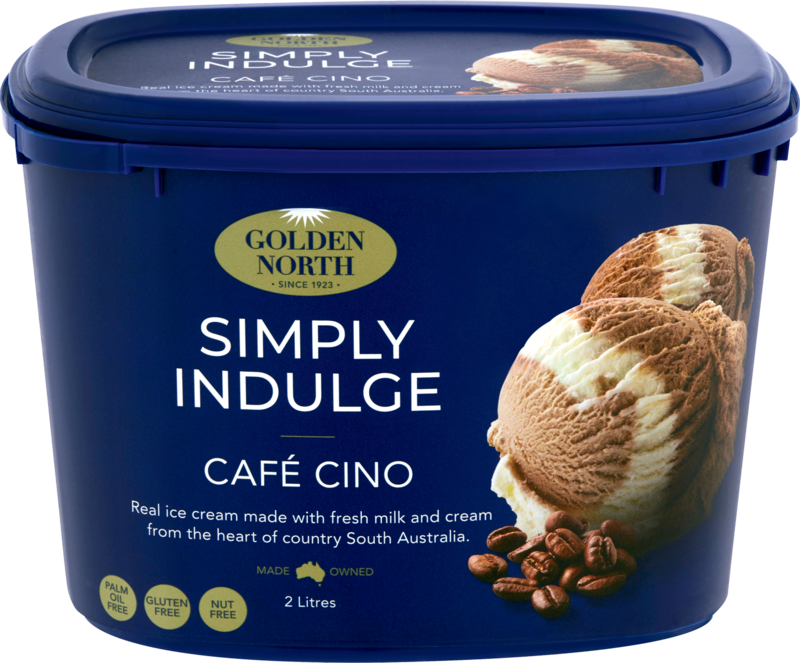 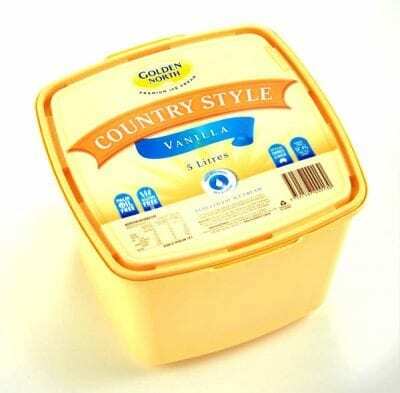 Golden North Simply Indulge Cafe Cino is made with swirl of three lovely flavours: Cappuccino, Affogato and Vanilla. 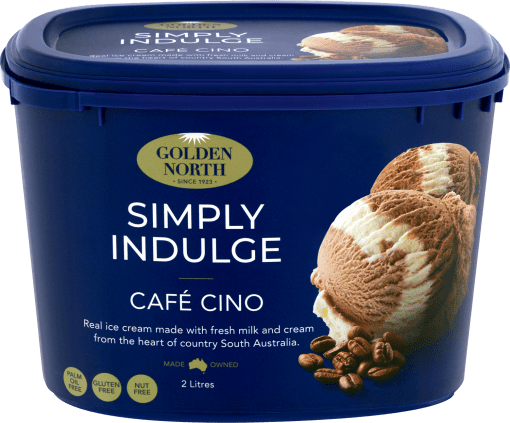 This ice cream just satisfies the crave for coffee and ice cream at the same time in a perfect way. 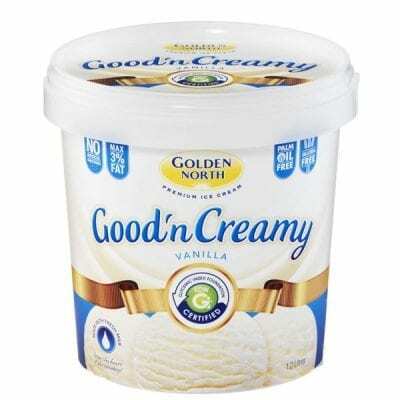 Ingredients: Fresh Milk, Fresh Cream, Sugar, Milk Solids, Robusta Coffee Powder (0.5%), Gelatin, Stabilisers (401, 339, 466, 471), Salt, Flavour, Colour (150d), Natural Annatto Extract.